As we see until the Reserve Banks of the world keep on intervening, we do not need to worry about a crash! In the US the 27th The US Fed intervened after a 6 days rout (well, how do you describe an high volume of future future calls in the pre – open market with no particular news) and this set up for a nice week (which is correct as most of the US data release are positive). Now, after the bear got burned, the US stock exchange is dazzled and calm. The US Fed is much more subtle and sophisticated than the Chinese one (well…they have a long history to base upon) and very effective. Notwithstanding the massive intervention last Monday (which involved also currencies USD/JPY) the market are still shaky and still aiming for a re test of 3,200/3,400. China has a lot of power, but the Chinese market is mainly composed by retail investors (prone to gambling) which is much harder to assuage than institutions. The battlespace has changed and Turkey entered as a major player (if under reported by the media). Turkey and US seems to have settled their difference and Turkey has started to act much more aggressively in Syria (artillery shelling and air incursions have been confirmed). Also a major Turkey air base has been selected for US attack fighters (they have just been seen landing in Crete as a stop over). It seems that, as part of the deal, a no fly zone of 55 miles has been agreed (long standing request from Turkey to the US). – Syria’s Assad is in full panic mode (it just requested for all Syrian citizen to join the army and a royal pardon for all returning deserters. We could be be at the final stage of Assad’s regime. To see the complete analysis I am always referring to my blog posts following this correction since May – since it was correct I do not need to look into the details. Following the previous analysis the market is close to finally reach its targets as predicted a long time ago. It is quite sure it will retest SP 500 2,040 and ASX200 5,400 with a potential panic low of 1,970/5,150 somewhere in August (maximum in October, but I do not think so). Gold – apart the market manipulations the trend is still to hit USD 1,050 (with a potential panic selling to under 1,000) brought by the strength of the US Dollar. As the FED will struggle with the strong US Dollar, after the panic selling, gold will return to 1,300/1,350. It is still following broadly the 1970 picture, which is worrying. It could be still a “lame” investment for 2016…but it is good to have a 3%-5% as security. Anyway that scenario is quite far enough to let it simmer in the background. 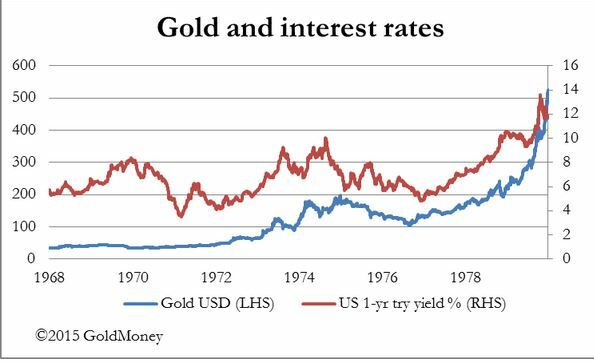 Update…I always refer to Gold and 1970. As Bloomberg reports the US Fed is under attack from both Republican and Democrats. The attack is about the Fed indipendence and supposedly “above the law” position (as I noticed in November 2014). It has a subpoena regarding leaked economic data. It ranks very bad in US polls (second least federal agency). Specially the House Financial Service Chairman Hensnarling has its eyes on it. This happened notwithstanding the exceptional job the FED did in improving the economy and it is due to a clear favouritism towards the big banks and the opaqueness of its actions. And Chairman Yellen is not so good at networking with the House and Senate representatives as her predecessor. What does it mean for you. If the Fed gets chained the current mega rally since 2009 will end just a little after. The Plunge Protection Team (Working Group on Financial Markets) and open and opaque intervention (there is an interview in the Financial Times in June 2014 in which the FED admitted a concerted reserve banks intervention – US FED, ECB, Bank of England, Bank of Japan and as a big sidekick People Bank of China). It saved quite a few time the market from plunges like a protector angel. So if they cripple the Fed wings…it does matter to you! Caterpillar sank 3.4% in the US. More important it is the 31st month that caterpillar post declining monthly sales (the share price was not so bad as there has been an incredible amount of buybacks). Caterpillar is considered a “bellweather” share for the global economy as it sells heavy machinery around the world. The biggest drop were Asia (-19%), but above all South America (-50%). Worryingly also US Sales are going down with Y on Y -5% – and this time of the year you cannot blame it on the weather. The reserve requirement for Macquarie and the big 4 Australian Banks have to increase from 16% to 25% (the regional banks have already that level). Probably the major (apart NAB which already did it in May 2015) will have to do capital raising at some stage. What does it mean for you? probably the banks share will go nowhere this year. China Security Finance Corp. (subsidiary of the Chinese Security Regulatory Commission (part of the Chinese Central bank) has entered the market with a margin trading facility of USD483 Billion (the Chinese market is approximately USD6.6 trillion). This is on top of arresting short traders (it is illegal for anyone holding more than 5% of a company to sell, “convincing” stockbrokers to invest (also I would be convinced to buy!). Practically nationalised the stock market. JPM and Goldman institutional desks have also alerted to another strange issue about China. After years of accumulating US Treasuries – they are selling en masse (in the last 6 months China sold USD143 billion US Treasuries and circa a total cash outflow of over USD500Billion). China US Treasuries reserves are still USD1.3 Trillion. Why? That is the issue…some answers around the net. -It is just a prevention of the US rising interest rate (even if the amount seems too much).